The whole school is excited about our Book Fair. An amazing selection of books is headed our way! At the Book Fair you will find the latest and finest titles for kids, as well as books of interest to parents. Mark your calendar for our Family Event (Monday, October 8th, 5-7pm) where the whole family can join in the fun. And, you can contribute books to your child's classroom library. The Book Fair is a great way to get everyone excited about reading. See you at the Book Fair! 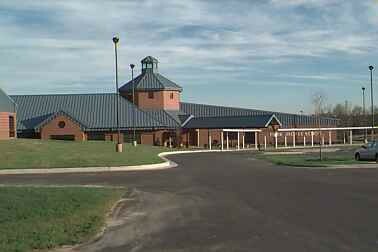 When is your child's class visiting the Book Fair? Each class has signed up for specific times to visit the Book Fair. (Students are not limited to this time period. 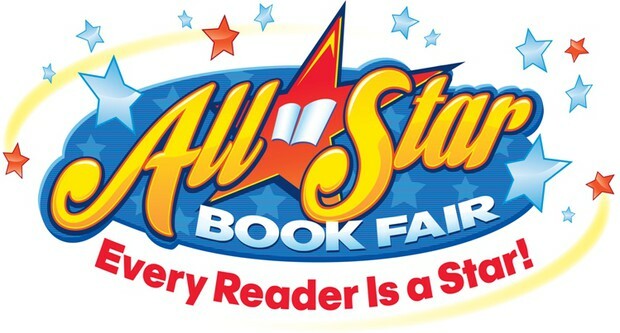 This just gives every student a chance to see what the Book Fair has to offer.) Students will have the opportunity to make wish lists and browse through items they might like to purchase. Purchases can also be made during class visits. No one knows much about Ferris Boyd. The new kid never talks, can’t be touched, spends all her time alone, and is often mistaken for a boy. Delly Pattison, though, sees Ferris Boyd as her way out of trouble. When Delly–and her little brother RB–are with Ferris, trouble seems to stay away. And Delly desperately needs to keep away from trouble, or her parents will send her to a reform school–or a reDellyformatory. Even though Ferris doesn’t talk, Delly, Ferris, and RB find a way to communicate and form real friendships that will help all of them through the issues they’re facing. Even though Delly is quite familiar with her own brand of trouble, Ferris is dealing with something much more serious…something that has robbed her of the ability or desire to speak. With the help of Delly, RB, and Brud, another unlikely friend, Ferris will be able to come to terms with the fear that has held her captive. And Delly will learn that some things–like the safety and well-being of a dear friend–are worth the risk of getting into a little trouble. True (…Sort of) is a quick, often hilarious, read that will grip readers from the first page. Delly is a character that is often misunderstood by those around her, something that nearly everyone can relate to on some level. Her quest to stay out of trouble is admirable, and readers will rejoice in her successes, but they’ll also be wowed by Delly’s ability to find a bit of fun in the small things around her and turn even the most mundane things into Dellyventures. I also think young readers will be inspired by Delly’s vocabulary. Her made up words tell so much about her personality, and I hope that students will create their own vocabulary to explain the truly unique things about their own lives. (There is a “Dellyictionary” at the back of this book with a list of words and definitions for all of the words Delly uses throughout the book.) Even the non-cuss words Delly makes up tell readers how unique–and creative–this character is. Even though this book is lighthearted at times, it also deals with a serious issue. This issue is personified in the character of Ferris Boyd, and it will be all too easy for readers to realize that something is really wrong in this young girl’s life. Her selective mutism and aversion to touching tells everyone that this girl has been through something awful. She may still be involved in something no child should ever have to deal with. Delly sees what others don’t. She sees that her friend is sad and afraid, and, even though Delly knows she’ll get into trouble for helping Ferris, she does what no one else has before. She puts Ferris’ safety above everything, and that decision changes more than one life…for the better. 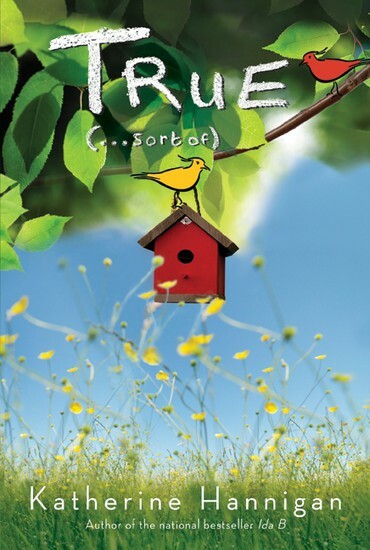 True (…Sort of) is a book that will resonate with readers of all ages, and it is my hope that we’ll all pay a little more attention to children who might otherwise be overlooked, especially the “troublemakers” and the “invisible.” Sometimes, these are the kids who need us the most and who are just looking for their chance to shine. For more information about True (…Sort of) and other books by author Katherine Hannigan, visit http://www.katherinehannigan.com/.